Your quilt is so pretty! The feather stitch is perfect. Love the shells. I like the manipulated cloth you create very much. Beautiful feather stitching. 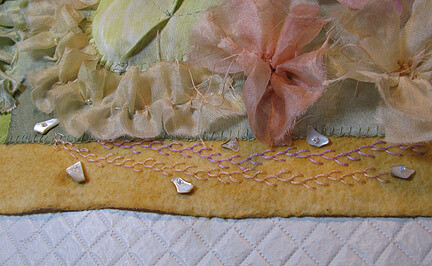 Your quilt is coming along and the feather stitch looks great.